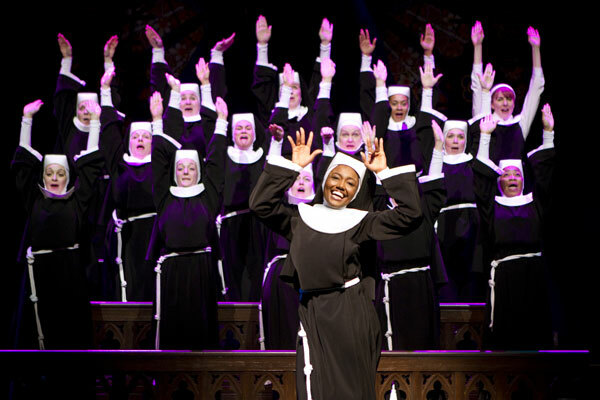 Before 2006, Sister Act was a boilerplate comedy, with motley reviews, that depended on the star power of Whoopi Goldberg, Maggie Smith and Harvey Keitel to fill box office seats. 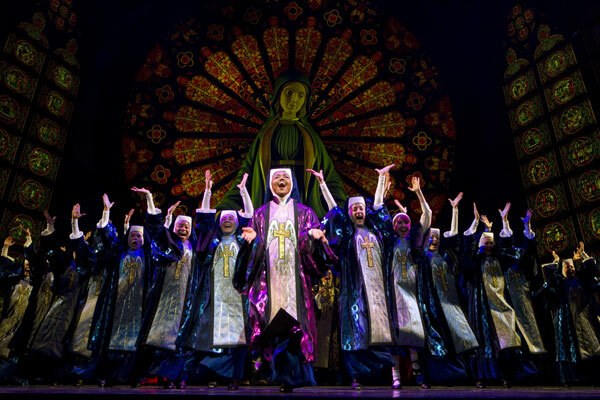 In 2006, Sister Act was reincarnated into a musical with a book by Cheri and Bill Steinkellner, music by Alan Menken and lyrics by Glenn Slater. The production premiered on October 24, 2006 at the Pasadena Playhouse, closed December 2006 and became the highest grossing show at that venue. 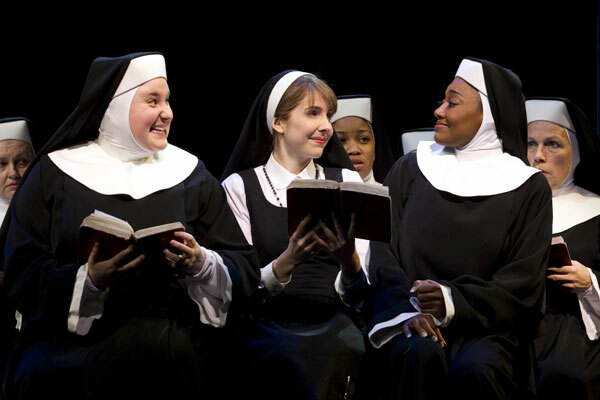 In 2009, the show went international; Stage Entertainment and Whoopi Goldberg produced Sister Act at the London Palladium. Currently back in the states, Whoopi Goldberg is also back in the habit and on Broadway as one of the show’s producers. Sister Act was a money maker for Whoopi back in 1992 and it is a Tony Award nominated smash hit for her now, but this reinvented musical of it comedic predecessor is its own hilarious entity. Like the movie, Sister Act chronicles the story of Deloris Van Cartier – a ne’er do well lounge singer wasting her days in a Philadelphia nightclub owned by her married, thug boyfriend Curtis Jackson, played by Kingsley Leggs. When returning a recycled gift – a coat previously owned by Jackson’s wife – Deloris stumbles upon Jackson and goons murdering a member of his crew believed to be an informant. Deloris goes on the run, literally, and runs to a police precinct where she is reunited with Eddie Souther, an old school chum that used to have a crush on her. Souther, a cop now, arranges for her to hide in a convent, and the holy hijinks are kicked into high gear. Even in a nun’s habit, Deloris – now dubbed Sister Mary Clarence for her own protection – is as noticeable as the follicles protruding from Don King’s head and driving the convent’s Mother Superior, played by Victoria Clark, round the bend. Mother Superior decides to put Deloris’ singing talent to good use and puts her in charge of the cacophonous choir. Deloris manages to raise the voices of the dissonant nuns and adds a little touch of disco for show. Despite the objections and prayers of Mother Superior, Deloris is a savior. The choir’s funky sound attracts parishioners, donations and helps to save the church. Even the pope wants to see them. A news report about the pope’s visit gets Deloris spotted on television and must she relocate again to avoid Curtis and his lackeys. But Deloris is determined to stand by her new found sisters and they stand by her, even with the knowledge that she is not who she claimed she was. Mother Superior has a change of heart about Deloris as well. The nuns and Eddie foil Curtis’ plans for payback and Deloris and the sisters perform for the pope. I have never laughed so hard in a theatre before. Sister Act may have taken a long route to get to Broadway, but there is no doubt that its future is just as bright as the Great White Way itself. It is a crowd pleaser from beginning to end. I tried to find holes in this show, but there are none – my mirth cup runneth over. Cheri Steinkellner, Bill Steinkellner and Douglas Carter Beane received a Tony Award nomination for Best Book of a Musical, and the music of Alan Menken and the lyrics Glenn Slater received a Tony nomination for Best Original Score. Set designer Klara Zieglernova’s vision for each scene was right on point, by the end of the production the audience did view a marriage of disco and divinity. Costume designer Lez Brotherston sparkly, glitzy fashions made me want to pick up a habit. 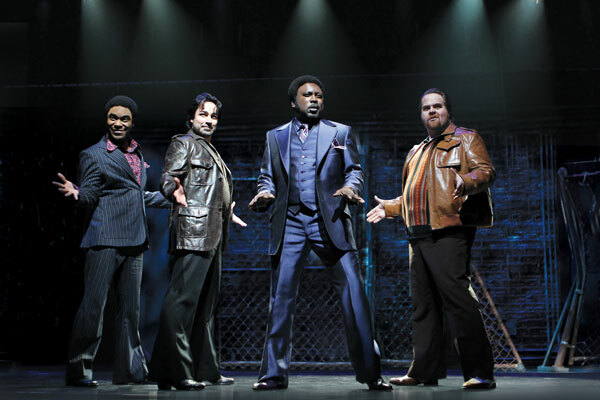 Although their efforts did not receive Tony nominations, all the members of the creative team, including director Jerry Zaks, provided a heavenly pitch. Only thing the actors had to do was knock it out the park, and that is exactly what they did. 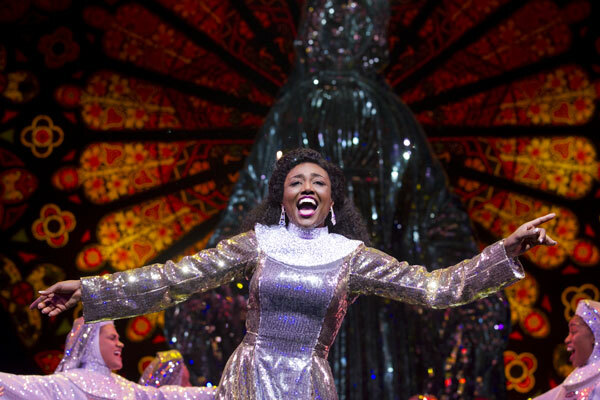 Patina Miller reprises her role as Deloris Van Cartier; she was first cast in the role during the London version. She shines brighter than the Swarovski crystals used in the costumes. 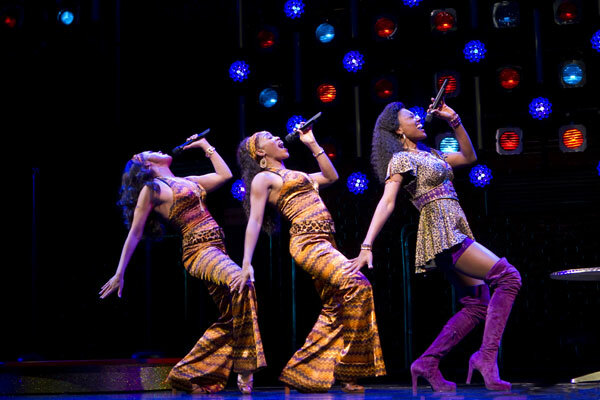 Miller has attitude for days with the vocal chops to back it up – her Tony Award nomination is a no-brainer. Tony Award winner Victoria Clark is angelic as Mother Superior. The comedic tension between she and Miller is wonderful to watch. Sarah Bolt as Sister Mary Patrick is a breath of ethereal air. Her presence is so bubbly and infectious; I wish I could bottle her and sell her. Giving contrast to Bolt’s perky personality, is Audrie Neenan as Sister Mary Lazarus – she completely prickly but no less a hoot. Her snarky lines are well received by New Yorkers – citizens not known for being very peppy. Although this production is a real sisterhood, the men in the cast manage to hold their own. Kingsley Leggs is a villain you will love to despise; he is Nino Brown with an afro and a great singing voice. Chester Gregory may be known as “Sweaty” Eddie, but it doesn’t detract from his talent. As my aunt would say, “That boy can sang!” Desmond Green is a scream as TJ, Curtis Jackson’s dimwitted relative and subordinate. Fred Applegate, John Treacy and Caesar Samayoa also provide plenty of moments for the audience to chuckle heartily. To speak of the gospel is to tell the truth – to spread good news. This is not the type of show one goes to if they are looking to impress others with their knowledge of culture and the arts at a future dinner party. This production is for someone that likes a little amusement with their theatre. Funny…flashy…with a musical score that is sure to remembered for the ages, this show is too fabulous baby! Nice piece of writing, I truly expect up-dates of your stuff.